What does it mean to be a barista? If you’ve ever been to a specialty coffee shop, you’ll notice that the drinks – and even the cup sizes – have strange names. And most likely, you will also have seen a barista in action there. A barista is someone who prepares espresso-based coffee drinks, and normally works in a specialty coffee shop. In order to become a barista, you must learn how to make lots of different kinds of coffee, and you will have to be creative with the preparation. Barista is a word borrowed from the Italian language, which literally means ‘bartender’. In Italy, drinks of all kinds, not just coffee, are served by baristas. In the US however, this term is normally reserved for those who prepare and serve specialty coffee drinks. The majority of specialty coffee shops serve espresso based coffee drinks. This isn’t a specific kind of roast (bean cooking method) or a particular coffee bean, rather, espresso is a novel way of brewing coffee. 1 What does it mean to be a barista? 1.1 What is a barista? 2 What are the kinds of coffees that baristas make? 4 Do you need formal training to work as a barista in the United States? 4.1 What is the fuss about getting a barista certification? Espresso is a richly concentrated kind of coffee which is prepared by forcing steam and hot water under pressure through coffee grounds which are packed tightly. It was invented by Angelo Moriondo in Italy in 1884, when he patented the first ever espresso machine. In comparison with ‘regular’ coffee brews, espresso is thicker, with a more intense taste. Some may like the taste of plain espresso, while others prefer to dilute the drink with milk, water or other liquids. For instance, a cappuccino is a coffee drink consisting of one-third espresso, one-third microfoam and one-third steamed milk. Microfoam is simply steamed milk which creates a very fine foamy layer on the surface of the drink, and is made using a special espresso machine. Baristas frequently use it as a topping for coffee drinks, to make creative art on the drinks they serve. A latte is another derivative of espresso which comprises of near equal parts of steamed milk and espresso. As per the preference of the customer, it may or may not incorporate a fine microfoam layer. Some coffee drinkers hold the belief that espresso provides a greater boost in energy since it has a larger amount of caffeine per unit volume as compared to other drinks. However, a typical 2oz serving (aka a double shot) of espresso has roughly the same caffeine content as the normal 6oz cup of ‘regular’ brewed coffee. If you’re thinking about becoming a barista, start by inquiring about the job from those baristas who work at your nearby specialty coffee shop. There are many such establishments that hire workers and provide them with on-the-job barista training. If you live in a large city, you may also come across ‘coffee sommeliers.’ These are professional baristas with specialized knowledge about the history of coffee, e.g. brewing and roasting methods, types of beans, latte art etc. It takes years of work and study with coffee to become a sommelier. What are the kinds of coffees that baristas make? In its original form, espresso enjoys greater popularity in Europe (in particular, Italy) than it does in the States. Although it’s catching on in the US, its derivatives and misconceptions are also gaining considerable popularity. For example, there are those who believe that espresso refers to the dark, bitter, borderline burnt flavored coffee roast. The truth is that it is not a roast at all – it is simply a particular way of making coffee. Espresso coffee contains a blend of multiple roasts and varietals which results in a bold (but not bitter) taste. The finely ground coffee is packed tightly (referred to as tamping) into a ‘portafilter’, after which high pressure water is made to pass through the grounds and extracted in tiny, concentrated amounts. The key here is intensity – there’s a reason why it is called an espresso shot! Ristretto: The ‘short shot’ is the first three-fourth ounce of espresso from the extraction, which is regarded by many as the ideal espresso. Single Shot: A one ounce espresso shot. Lungo: Also known as the ‘long shot’, this is a 1.5oz espresso shot. Double shot: This isn’t simply a two ounce espresso shot, it uses double the amount of coffee in the portafilter, while the lesser shots incorporate the regular single serving. Espresso Machiatto: In spite of how Starbucks has popularized ‘Machiatto’ as a brand name, it is a simple drink that doesn’t have any of the caramel / chocolate treatment which is more suitable for an ice-cream parlor. It is a plain espresso shot layered with foamed milk. Espresso con Panna: An espresso shot incorporating whipped cream. Café Breve: A shot of espresso which is half and half steamed i.e. light cream. Cappuccino: Yet another drink plagued by misconceptions. Named so because of the likeness it has to the color of the garb of Capuchin monks, it is a plain espresso shot combined with milk, and doesn’t necessarily have the dry, frothy foam on it. Café Latte: This is an extremely popular coffee drink in America because of its mellow and sweet flavor. A shot of espresso which is mixed with six to eight ounces of steam milk and then topped with foam (at your discretion). A Latte without the foam is called a Flat White. Since it is difficult to find a latte in the super-sized US which is smaller than twelve ounces, a double espresso shot is frequently employed. If you want more caffeine, you can increase the number of shots! 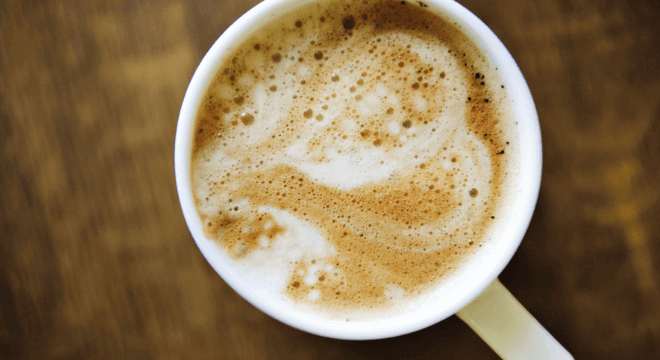 With some small variations, it is also called Café con Leche / Café Au Lait – this depends on whether your coffee spirit is channeling French or Spanish. Café Americano: This is basically a watered down espresso shot which results in a flavor quite similar to a regular coffee brew. One shot of espresso (1oz) with 6 to 8oz of hot water. Flavored Espresso Drinks: These are basically the same drinks as the ones listed above, but with flavored syrups added in the process somewhere. For example, Café Mocha is basically a latte in which the steamed milk has chocolate syrup added to it. Iced Coffee: The ideal or perfect iced coffee is an elusive thing. Coffee that has ice cubes added in it results in a cold and water drink. 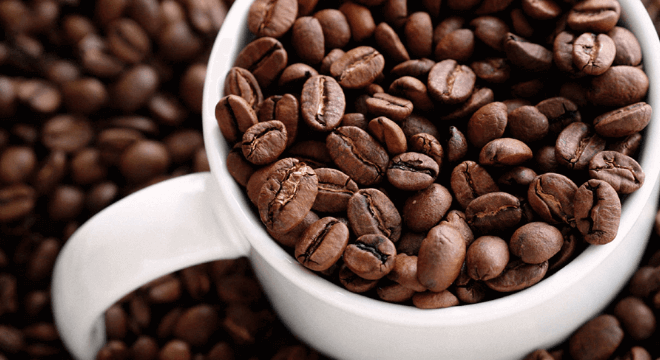 Start with strong coffee – with caffeine content stronger than your average hot brewed drink. Go for darker, bolder tasting roasts. Brew it strongly. You may brew it twice by pouring the hot coffee onto fresh grinds – just like pouring the coffee back inside the coffeemaker and brewing a second time. Add spices like cardamom, or sugar, before chilling so they are able to properly dissolve. You may add ice cubes at this point, but its better to let the drink chill in the fridge for some hours / overnight so the ice doesn’t get melted as quickly. Once the drink is chilled, pour over ice and mix it with either whole milk or half and half, according to taste. You can also add your favorite flavors at this point (e.g. chocolate syrup for iced mocha). These cold coffee drinks will be sure to fire you up, so be sure to use the energy boost to get the most out of an afternoon workout session. Baristas may work in independent coffee shops, as well as those found in book stores, department stores or other business related places. They are expected to spend most (sometimes all) of their shift on their feet, helping customers and attendng to their needs. When there are no customers, they must utilize their time to clean their immediate working place, as well as other areas of the establishment. A large number of coffee shops open up early in the morning, and close up in the evening, which equates to 2 full time shifts. Those who require a part-time job, but need to work in the day, will find this to be an appealing schedule. They are still usually expected to work during weekends and holidays though. So to add to the answer to the question what are baristas, they’re professionals who must be dedicated to their job and ready for hard work. Make sure that customers are aware of the products and services the establishment offers. Maintain the most consistent, top quality product standards. Follow all company procedures and drink recipes. Pass re-certification tests on a monthly bases punctually. Develop an appreciation of tea and coffee regions and the many differences between blends and flavor. Expertly prepare both hot blend and cold beverages present on the store’s menu. Great each customer with prompt, personalized and friendly service. Be sure to become familiar with their names, as well as favorite foods and drinks. Receive and call back customer orders verbally, in a friendly way. Report complaints made by customers to the manager on duty. Proactively respond to minimize customer service occurrences. Ring sales orders into the cash register accurately and count back change to the customer in a friendly, courteous way. Answer phone calls in a friendly, courteous way, which includes, but isn’t limited to, giving store greeting, address directions, and receiving/filling orders by customers. Weigh, grind and pack coffee according to the orders made by the customer as per the company’s guidelines. Sell and serve baked goods and other food items to customers. Maintain friendly and efficient service. Now that you’re well aware of what becoming a barista is all about, its time to discuss the education / official requirements of the trade e.g. barista license and degree. Do you need formal training to work as a barista in the United States? Even though there aren’t a strict stipulations on barista training for those who wish to join the field, the vast majority of employers will need at least a GED or a high school diploma. Although high school students can perform the functions of the job just as well as a high school graduate, the hours aren’t that great for them. Keep in mind that people love their coffee early in the morning to start their day, and late at night to work those extra hours, and this doesn’t go well with the schedule of a normal high school student. If you want to work at one of the better coffee shops in your area, you’ll want to take professional coffee barista training courses first. What is the fuss about getting a barista certification? Even though barista courses training isn’t needed, the field is incredibly competitive, in terms of hourly wages, schedule flexibility, and the general love people have for coffee which makes it a desirable job. Baristas, regardless of their skill level, are expected to keep on honing their craft, while simultaneously providing their best service to the customer. This is where barista learning courses come in – with the coffee industry increasing in scope and evolving with each passing day, and the consumers getting more aware of what they drink, it is imperative to develop your barista skills and knowledge in order to stay ahead of the competition. 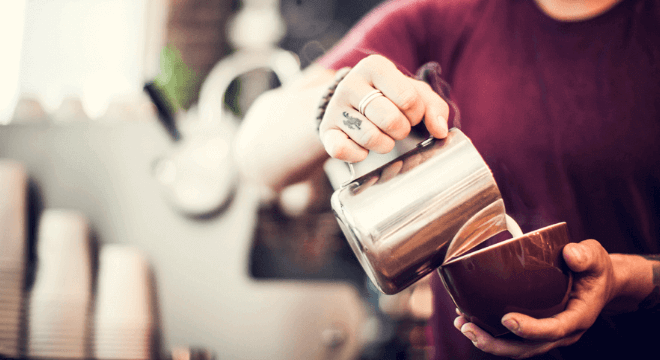 The popularity of proper training among aspiring baristas can be judged from the fact that, in recent years, barista training online courses have begun to spring up! These let you develop your skills at your own pace, and are great for those don’t have the resources to commute to and from a physical institute. However, getting hands on with the gear is only possible with conventional training programs, which is why they are still preferred. This barista course lays the groundwork for all other IBCA coffee classes, and is a good way to get familiar with IBCA curriculum. It is designed for those who are completely new to the coffee industry and will give them an idea of whether they are suited for this profession. They will get a general overview of coffee and will have the opportunity to explore the various directions they can take in the specialty coffee industry. This is a Full Day IBCA course costing $295 in total, and gives an SCAE certification. Barista Foundation: This coffee class is designed to introduce essential barista skills to those who have not worked in the industry before. Successful students will be able to calibrate their grinders, and prepare espresso, lattes, cappuccino, and steam milk as per core standards. This is a full day course that costs $340 without the SCAE certification and $425 with the SCAE certification. Barista Intermediate: To take this course, the student must already have cleared the SCAE/IBCA Barista Foundation Level course. This course is based upon the Specialty Coffee Association of Europe’s Diploma System training mechanism. 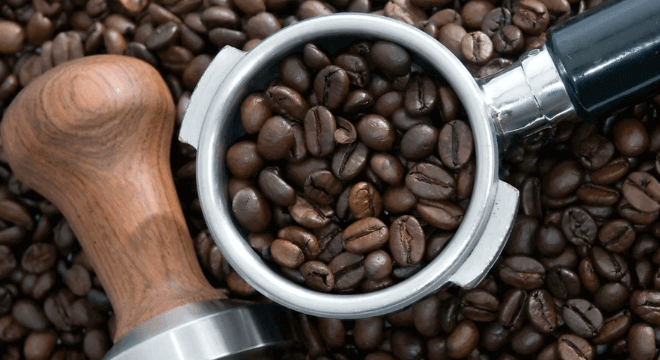 The first part of this intensive training course will educate students about the history of coffee and green coffee, roasting, brewing, grinding, extraction and preparation, service skills, water, milk,, cleaning, presentation and sensory technology. The second portion will cover practical espresso stations, grinder training, grinder adjustment, extraction, espresso machines and pulling the ideal shot of espresso. Students will be taught milk, steaming and texturing techniques, besides getting hands-on training in the preparation of traditional espresso, latte and cappuccino. The class will end with the learning of essential latte art. This is a two day course that comes with an SCAE Certification and costs $775. Barista Professional Level: To take this course, the student must already have cleared the SCAE/IBCA Barista Intermediate Level course. Just like the Intermediate Level course, the Professional Level barista class is based on the SCAE training program. It is a three day intensive training class that comprehensively covers coffee history, green coffee and its retail, certifications, value added coffee labels, roasting, grinding, extraction, brewing, preparation, water, milk, presentation, service skills, maintenance, cleaning, sensory cup technology, and health and coffee. The second half of the class is spent on refinement of grinding, extracting, milk and milk texturing skills. This will be followed by a session for improving Latte Art skills. The 3 day IBCA Course, along with the SCAE certification, will cost $925. Before taking this class, the student is required to have completed the Sensory Cup Tasting, as well as Green Coffee Foundation Level courses. Roasting Foundation Level: This class focuses on basic understanding (mostly physical) of coffee and its roasting process. The students will distinguish between green and roasted coffee, identify a variation in the roaster’s flame control, repeat the procedure of timing a roast’s temperature evolution, repeat weighing and recording the moisture content of green and roasted coffee, and learn to tell the first crack. This is a full day IBCA course which costs $615 without the SCAE certification and $695 with it. Roasting Intermediate Level: The student must already have cleared the IBCA / SCAE Roasting Foundation Level course to apply. This class will teach students to easily identify the range of colors of roasted coffee, as well as understand the effects of using various roast profiles. The student will learn the steps needed for the installation of a coffee roaster (this includes various heat and energy sources, as well as materials required for a professional grade roaster). The student will be guided through the stages of roasting, physical and chemical reactions, browning process and the effect of various environmental conditions on the roast. They will detect various roasting defects, the effect of air on roasting, machine maintenance, and stopping potential roaster fires. Lastly, the student will be educated on the various types of roasters, as well the tools required to set up and implement a standard micro roasting facility. This is a 2-3 day IBCA Course and costs $1,095, with the SCAE certification included in the cost. Roasting Professional Level: The student must already have cleared the SCAE/IBCA Roasting Intermediate Level to take this class. This course takes a more practical approach as compared to the Intermediate Level, thereby taking the student deeper into the world of roasting. The student will spend a greater amount of time in actual roasting sessions, roasting three batches of the same coffee to a specified color range (with an accuracy of ten points) as a target. They will be taught how to identify coffee roasted at various times and temperatures in a cup tasting session. The course also delves deeper into coffee science, chemical composition and reactions, and profile roasting. This is a 3-4 day coffee roasting training session which costs $1,695 along with the SCAE Certification. These classes will teach the basics of formal coffee analysis and cup tasting protocol, cultivate sharp sensory skills, and proper terminology used by industry experts. The course will provide an understanding of the essentials of formal coffee analysis, as well as teach how to prepare a cup tasting session with proper utensils and tools, and inform the student about grind, weights and measurements used in formal cup tasting. The student will be taught how to utilize their sensory perceptions and jargon used in the industry. This is a prep course for the CDS certification in Sensory Cup Tasting. If taken as a full day course, without the SCAE certification, it costs $415, if taken as a full day course with the SCAE foundation certification, it costs $495, if taken as a 2 day course with the SCAE intermediate certification, it costs $795, and if taken as a 3-4 day course with the professional SCAE certification, it costs $1,025. This class will teach you the important background on the history and science of the immature / unroasted coffee bean (i.e. the actual ‘seed’). The class will cover every aspect of green coffee from agronomy and botany to decaffeination and storage. You will learn about various stages and aspects of coffee such as botany and agronomy, processing and storage, decaffeination and grinding, and will gain an understanding as to how these factors come together to affect the cup and the coffee’s taste. Each of the three classes will cover to varying depths the essential principles of green coffee by examining its process from product to roaster. The professional level class will provide considerably more knowledge about the commercial and financial mechanics applied to the industry, which includes global, national and local sales systems. The full day course without the SCAE certification costs $455, the full day course with the foundation level SCAE certification costs $535, the 2-3 day course with the intermediate SCAE certification costs $885 and the 3-4 day course with the professional SCAE certification costs $1,385. These classes will teach you the significance and interaction of all extraction and grinding methods, besides the brewing styles which are standard in the specialty coffee industry. These courses are great prep for the Green Coffee class. Students will gain the skills needed for preparing coffee with regards to the significance and interaction of all extraction and grinding methods. Improve the knowledge and skills of different grinding and extraction methods with the objective of making students able to ascertain the factors which are essential with respect to quality and brew style. The students will also be able to execute and evaluate every brew method they’ve been taught. The advanced class will let students apply their knowledge to create a brewing method which is most suited to their style and unique requirements. The full day course without an SCAE certification costs $340, the full day course with the SCAE Brewing Introduction certification costs $425, the 2 day course with the Advanced Brewing Intermediate certification costs $775, and the 3 day course with the Advanced Grinding+Brewing Professional SCAE Certification costs $925. Home Barista Workshop: This fun and informative class encompasses the fundamentals of espresso coffee, grinders and machines, proper techniques for grinder adjustment, and correct pulling of espresso shots. The course will also cover the basics of home brewing methods such as ‘pour over’, French press and filter coffee. In the end, the class will review adequate machine cleaning and maintenance. Students will acquire a healthy amount of knowledge on home brewing coffee options through this two hour class which costs $75. Home Roasting Workshop: This is an enjoyable, informative class covering the basics of coffee picking, green coffee, processing and milling styles, terminology, grading, origins of coffee and where to purchase home roasting machines. The class will give you lots of information on roasting culture and you’ll have the chance to roast some batches of coffee on a sample roaster which you can take home and enjoy. The class lasts for two hours and costs $75. Tea brewers / filter coffee, overview of standard machines, and standard troubleshooting. Advanced tea brewer / filter coffee plus programming for profile brewing. Overview of basic filter coffee grinders plus advanced programming for profile brewing. Traditional semi-Auto and auto espresso machines overview. Overview of espresso grinders – traditional dosing type versus on demand. This will be a one day class costing $595 in total. Hydraulic circuit of standard espresso machines, semi-automatic and automatic. The course will encompass full typical hydraulic circuit of the aforementioned machine classes and take them apart to the boiler, handle troubleshooting, components and possible issues you may face, and then bring it together into a single unit again. Electronics and electrical aspects of traditional espresso machines, both auto and semi-auto. Parts, types, sales and schedules which includes filtration PMs. Traditional machine resources: This portion will cover the resources available for machines, parts and techniques who can aid in filtration, installation supplies and troubleshooting. You will be provided with a full contact list. Overview of super-automatics, their programming, learning their program codes and keys. Espresso making plus milk frothing via MPS and turbo steam, tips and tricks to make sure that the machine functions as per customer’s requirements with the milk and coffee. Resources for supers – those for machines, techs, and parts who can aid in filtration, installation supplies and troubleshooting; you’ll be given a complete list of contacts. You will disassemble a Cimbali M1 MPS as well as a Cimbali M2 Turbo, and cover components, electronics, electrical, hydraulics and troubleshooting. This three day course will costs you $1,395 in all. A full day of field experience – you will follow the institute’s technician on scheduled work to perform PM’s on both traditional machines and super-autos. You will observe and perform a minimum of three service calls on machines in the field, including grinders as well as filter coffee machines. A one hour lunch break will be a part of the field experience. Review & Practice: You will have the first half of the day to review, inquire and make notes. You can then practice on any machine you want. Resources, selling PMs, housekeeping – The contacts and tools needed for supplies, machines and parts will be reviewed. This will be a five day course costing $2,795. Other courses and consulting services: These options are available on student/client demand. Additional services and information not otherwise offered in the IBCA curriculum is provided here. ABC’s workshops are made to provide you with the training and information needed to be successful in the highly competitive specialty coffee market of today. These sessions include demos and lectures followed by practical learning. Small workshop sizes ensure a personalized learning experience under the tutelage of coffee business professionals who have owned and successfully run coffee businesses. The ABC’s modern espresso lab has the latest products and equipment from the specialty coffee industry’s top companies, and actual coffee bar setting for hands-on practice. Here you can acquire the skills required for developing your business’s menu and preparing espresso drinks as well as smoothies, blender drinks and light food items like panini. This methodology which provides total immersion in the classroom lets you gain competency and confidence to open and run your very own coffee business efficiently. This intensive six day workshop costs $3195, and includes lectures on starting up, operations & management, and practical training in the espresso lab for learning proper drink / food preparation. Lasting almost a week, it is designed for prospective business owners, entrepreneurs, barista trainers, coffee bar owners and managers. The students have a real passion for making it big in the specialty coffee industry, and want to cultivate the skills and dedication needed to become master baristas. Planning, Concept Development, and A Brief History of the Specialty Coffee Industry. The espresso lab’s practical subjects include Principles of Latte Art, Pouring Latte Art class, Customer Service, Coffee History, Cleaning and Machine Maintenance, Food in you Operation Discussion, Smoothie and Granita Overview, Blended Drinks, Hot and Cold Drink Recipe Basics, Steaming and Foaming Milk for Lattes and Cappuccinos, Grinder and Machine Basis, Pulling the Perfect Shot of espresso, Tamping and Extracting Espresso and Grinding. The roasting lab’s practical courses cover practical roasting on a roaster sample and full size (18 kilo) production roasting workshop; roasting at three separate roast levels; selecting green coffee and getting it delivered (directly or via importers); roaster mechanism – how the coffee seed is toasted, roasting history; and an introduction to the types of roasters (drum, air) and the sizes for your business. Le Nez Du Café – a discussion and demo on aroma sensory, cupping of prior roasts, and discussion of profile differences. Blending concepts, cupping of regional varieties and process. Discussion of regional roast profile and process – their differences and similarity. Open forum and questions and answers. This intensive 5 day workshop costs $2975, and incorporates lectures on starting, operating and management as well as practical training in the espresso lab and learning adequate food and drink preparation. This immersion style class is meant for barista trainers, managers, coffee bar owners and prospective owners, and entrepreneurs with a genuine passion for running a successful specialty coffee establishment as master baristas. The business subjects include Dealing with Employees, Marketing Your Business, Financial Projections, Operational Systems and Controls, Employee Training, Interviewing and Hiring Employees, Menu/Products/Recipes/Prices, Selecting Equipment, Café Ambience, Coffee Bar Design, Negotiating a Lease, Finding a Location, Acquiring Financing, Business Plans, Business Planning, Concept Development, and A Brief History of the Specialty Coffee Industry. This 2.5 day class costing $1495 is full of intensive practical training meant to greatly enhance your barista skills and your understanding of coffee. The one-of-a-kind ‘Train the Trainer’ approach is an optimal blend of real life situations, drink drills and detail focused instructions which will get you ready for successfully running a top-notch coffee bar and teaching other members of your establishment to do the same. The objective is to make every student confident and able to run their very own coffee bar with excellence and knowledge. This workshop is offered both in Portland, Oregon and Long Island City, New York. ABC also offers customized 1 to 5 day workshops for your staff and company. These can be tailored to meet your specific needs and focus on practical training, latte art, coffee education, retail coffee business strategies etc. For information, call 800-655-3955. It can be quite an overwhelming thought to enter a barista completion. There are plenty of factors to bear in mind: from your coffee’s source to what your menu must be like. 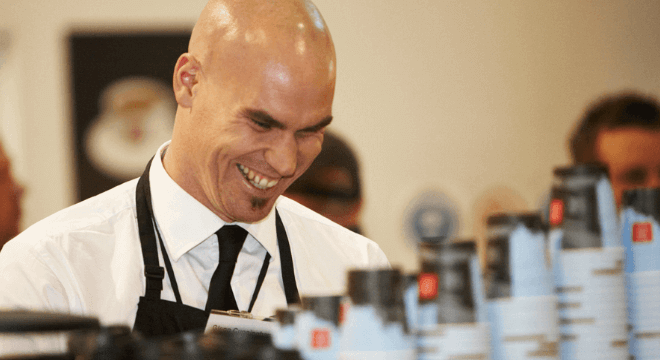 The American Barista & Coffee School has joined hands with world-class former judges, competitors and Portland pros to create a 5 day in-depth competition training program. Besides the daily grueling competition practice, they’ll tap into resources of local dairies, farms, coffee roasters, chefs and artists to aid you in developing your competition program. The weeklong training will be lots of fun and hard work, and, most importantly, will get you ready to step onto the competition floor without breaking a sweat. This workshop is customized to meet the requirements of each attendee, and is led by US Barista Championship and Latte Art Competition judges and competitors. Plenty of companies in the coffee industry require specific knowledge in order to prosper. Certain business wish to establish themselves in specialty coffee, but they need guidance and information for that first. ABC provides a think tank setting for your company reps, free from the everyday demands of regular company business. In this workshop, they get educated on specialty coffee and can design your establishment’s strategy. If your company isn’t presently in the coffee industry but wishes to enter it in the future, this program can aid you in developing and fine-tuning a particular business plant which complies with the goals and mission of your business. ABC’s knowledge of the industry and their expertise in PR and marketing make them a logical choice for businesses that wish to expand or create their own programs. With the aid of American Barista and Coffee’s corporate consulting and training services, your business can enhance its prominence and bottom line. If you aren’t able to travel to Portland, Oregon to take their classes, don’t sweat, because ABC can bring the classes to you. They can visit your business’s location to set up training and collaborate with your organization in person. It is a good idea to know about the scope of this trade in various locations across the country, so you are able to base yourself there. This means you should look for barista classes from a coffee school in a state where the pay is best so you have the greatest chances of breaking even with your initial education investment quickly. The majority of baristas makes the minimum wage in their state, or a little more than that. The minimum wage in 2012 was $7.25 an hour. According to Labor Statistics Bureau, as of 2011, coffee shop attendants, as well as other food counter attendants made an average annual salary of $19,450 and $9.35 an hour. It was reported that, fifty percent of all coffee shop & food counter attendants earned from $8.26 to $9.82 an hour. According to 2011 records, the state which paid the most in this profession was Nevada, paying an average of $23,030 annually and $11.07 an hour. Behind it was District of Columbia, with an aggregate hourly wage of $10.58. High wages of $10-$10.25 were reported for a number of states, including Massachusetts, Oregon, Washington, Alaska, Hawaii, Texas and California. A number of states paid lower average wages ranging from $8 to $8.50 an hour – these included West Virginia, South Carolina, Tennessee, Mississippi, Kansas, Oklahoma, Chicago and Wyoming. As per the BLS, baristas who aren’t dependent on tips normally start their work making minimum wage. The federal minimum wage is $7.25 an hour, in 32 states. But 18 states as well as DC have greater minimum wage requirements. For instance, Rhode Island and Michigan need to start out at a minimum wage of $7.40 an hour. Those who work in Washington, the focal point of modern American coffee shops, would be given a substantial minimum wage of $9.04 an hour. As per the BLS, employment growth in the coffee shop industry is expected to be at 6 percent in the current decade. This is low relative to the mean growth rate of 14%, expected across all professions during this decade. In spite of this relatively sluggish growth rate, job chances for those who want to become baristas are predicted to be excellent because of a comparatively high turnover rate among food service workers. With all that said and done, it now time for you to pick a good barista school and start learning. Cheap barista courses may seem good to those on a tight budget, but try to go for a course which is reasonably priced yet comprehensive.